SO MUCH GOD, SO MUCH GODLESSNESS | Thoughts of a Calabarboy. 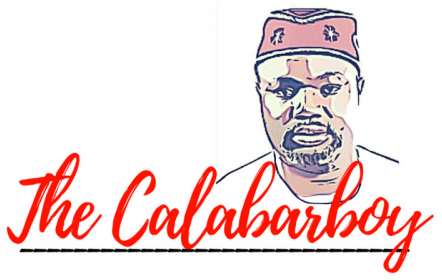 SO MUCH GOD, SO MUCH GODLESSNESS – Thoughts of a Calabarboy. Is it true that when people are not far up on the ladder of development, one way the find solace for their circumstances is to turn to religion? What I mean in simpler terms is can it be true that poverty is what drives people closer to religion? Whatever the case maybe or the argument for and against the answer to this question, it is obvious that the more dire your situation in life, the more you seem to recognize the role God plays in your existence. This is not saying that the rich have no tending towards God, but in terms of the ratio, poor people are more likely to call on God than the rich. Personally I can assert that the richer you become, the more of a small role God take in your life because of the many concerns that arise because of your wealth. Also to further this point, collectively we see that richer nations have less recognition of the religion factor than in poorer countries, which even impregnate their culture and value with religious seeds to even extreme levels. In such countries where religion is held in very high regard, we see and hear people associate moral standing in society with a substantiated commitment to the divine, and an outward show of fervency in the things of the supernatural. In Nigeria for instance, in order to give credence to the decency of a man we hear statements like “he is a deeply religious figure”. Religion is so woven into the fabric of society that it is impossible to find a person who is not conversant with the several religious anecdotes that form the basis for morality in society. ‘Better’ still, when you walk through the streets of any city in Nigeria you will surely conclude that these people are God fearing, because of the number of churches you find everywhere. It is absolutely amazing the number of churches you find all around the country. On a one mile street alone, you can have about 5 churches running side by side all with committed members of their own. Even when I lived in the Northern part of the country, in a village where Sharia law was observed, there were about 5 churches right there in the belly of Islam. The most populous city in the country, with over 15 million people; Lagos, becomes like a ghost town on Sundays because most people have gone to church. Anyone will quickly conclude that indeed Nigerians are a deeply religious people. However, there lies a yawning paradox in this society where there is so much ‘God’ around yet disturbing levels of godlessness. Shouldn’t it be that if a people are religious, then they should be godlier? It sure sounds like a no-brainer, but it nevertheless is a mentally tasking exercise to unravel the reason for the contradictions of supposed outputs of a godly people. Like a brother said a few days ago, “you can literally see God on the streets of Nigeria”, but how come the mounting levels of godlessness? Is this a similar case in other religious societies or just a typical Nigerian anomaly? This is one revelation in the country that baffles me; how more and more people claim closeness to God yet they are so depraved in their thoughts and their actions scream nothing but a loud transgression against morally acceptable living. Someone has told me before that morality is relative, but the point is that all men know what is right and what is wrong. Rather than focus on what we disagree on, we forget that there is so much more we agree on, and that is the truth I base upon in determining how we should see godliness manifest in our society. But at this moment, many go into their churches and hear great messages on how we can live better and make life a bit better for our neighbours, but walk out of the church not healed of carnal deafness. How else can we explain behaviour such as the gross disorder in society? Doesn’t the church teach orderliness? How can people steal so much and yet find themselves giving thanksgiving offerings in church? Or how can we be taught honesty from our pulpits yet we cut the most hideous corners in our business dealings. What accounts for all the oppression that is heaped on the poor when they have none to defend them, or how do we so conveniently extort from others when we are in position to help them without it costing us anything? I therefore submit to you that most people cannot be godly as we all think they are. It is impossible to alter the character of the Wolf even though it adorns the apparel of the Sheep. Therefore our religion is absolutely unacceptable because it does not deliver on the true qualities which godliness demonstrates. We certainly must be practicing something else or we simply do not know the God we claim we follow. We preach only what we do not practice and practice those things which we do not preach. Is that not a definition for hypocrisy? There must then be something seriously wrong with religion in Nigeria and with the way it is practiced. If society has become more evil in outlook, then religion has certainly failed. We have to look for something else. I’ll be back with more thoughts on this. Where SIN abounds; GRACE abounds much more.